The vallisnerias are often confused with the sagittarias. Like them, they reproduce through runners, need plenty of light, water that is not too hard, and a slightly acid pH. 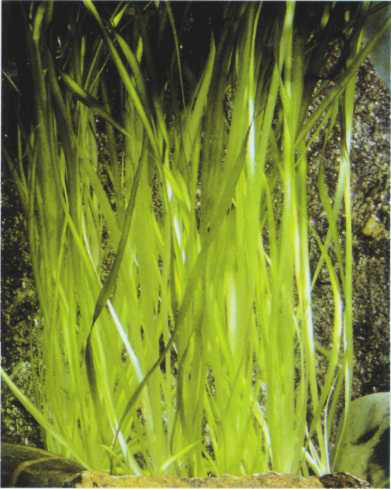 The eel grass is found in several varieties. Its leaves are spiraled. It can exceed 40 cm in height, which makes it ideal for decorating the sides or rear of an aquarium. Size: 40-50 cm. The term spiralis refers to the floral peduncle and not the leaves. 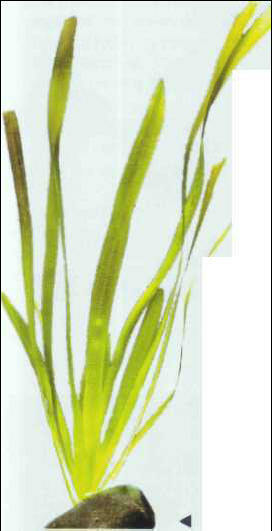 The spiraled eel grass is very popular in aquariums and reproduces actively under good conditions. Size: 40-50 cm. Its leaves, which can grow to 1 m in length and 3 cm in width, rest on the surface of the water. The giant vallisneria prefers intense lighting and a slightly enriched soil. It is obviously only suitable for large aquariums. Size: 1 m.
БЕРЕНДЕИ , тюркское кочевое племя в южнорусских степях в 11-12 вв. С 1146 (в составе черных клобуков) вассал Руси.